Pascale Petit was awarded the Poetry Prize, and Adam Wilmington received the Fiction Prize. Both writers received £10,000. James Draper, manager of the Manchester Writing School,who organise the competition, said: “Both judging panels were impressed by the overall quality of the submissions and worked really hard over the summer, reading through them all, to pull together two short-lists that showcase a thrillingly diverse range of voices and subjects. The Manchester Writing Competition was set up by the Poet Laureate, Carol Ann Duffy, at the Manchester Writing School, part of Manchester Metropolitan University. Chair of the poetry judges Adam O’Riordan, Lecturer in Poetry Writing at Manchester Metropolitan University, said that he and his fellow judges Bernard O’Donoghue and Fiona Sampson “agreed that our shortlisted poets displayed real character and all-round control. We are excited by how much they differ from each other. MMU Lecturer in Creative Writing Nicholas Royle, who chaired the fiction judging panel, said: “We, all three of us, loved all of the stories on the shortlist and any one of them could have won. But in the end our discussions narrowed it down to two and, even then, I think we all felt, deep down, that we knew which one going to win. Winner Adam Wilmington, who is from Wigan, thanked his family for nurturing and inspiring him. The judging panel was completed by Booker-nominated writer Alison Moore and multi-award-winning author Robert Shearman. The quality of entrants for the fiction prize was so high this year that the judges chose to highly commend several stories which did not make the final six. 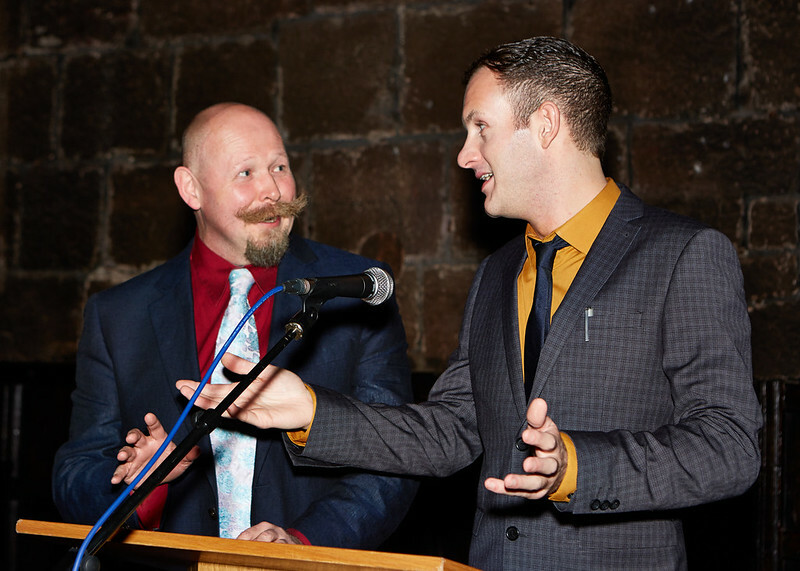 The winners of the 2013 Manchester Writing Competition Poetry and Fiction Prizes were revealed at the Manchester Literature Festival ceremony. To view all the photos click the left and right arrows on the photo below or view the album on Flickr.